requirements, which makes it difficult for international companies to c omply with them. Countries such as China, Japan, and Indonesia are also focusing on revising their existing chemical regulations. Hence, changing rules and regulations are restraining the market growth. 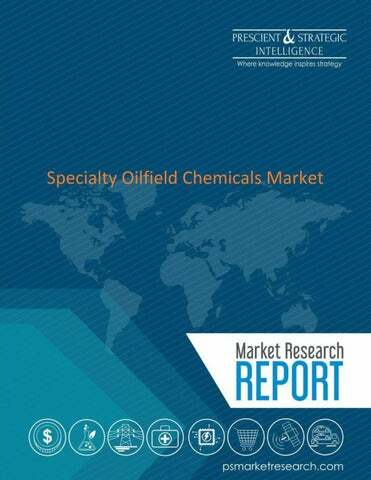 Access full report with TOC @ https://www.psmarketresearch.com/market-analysis/specialty-oilfieldchemicals-market Biocides type is projected to grow at the highest CAGR during the forecast period. Biocides are used to control the microbial growth in oilfields. They are also used to maintain and optimize oil and gas production from reservoirs by reducing the downtime caused by corrosion. These characteristics help specialty biocides to be used extensively in the oil and gas drill ing and production. Hence, with the increase in demand for biocides, the market growth is also increasing. Some of the major players operating in the global specialty oilfield chemicals market are BASF SE, The Dow Chemicals Company, Ecolab Inc., The Lubriz ol Corporation and Schlumberger Limited, Baker Hughes, a GE company, Clariant International AG, AkzoNobel N.V., Albemarle Corporation, and Halliburton Company. landscape analyses on the ever-changing market scenario, to empower companies to make informed decisions and base their business strategies with astuteness. P&S Intelligence always keeps customers interest at the core while carrying out research activities. P&S Intelligence ensures the reliability and accuracy of information and data provided in its market research publications. 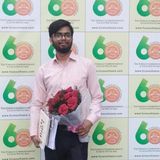 However, the information in publications is subject to fluctuations as they are based on primary interviews of officials from various companies or organizations. P&S Intelligence is not responsible for any incorrect data provided to us by the key industry players of the concerned domain. The information or analysis in P&S Intelligence publications represents opinion based on research and should not be interpreted as statements of fact. The information in this report were believed to be correct at the time of publication but cannot be guaranteed. P&S Intelligence does not endorse any product, service or vendor depicted in its research publications. All intellectual property, including trademarks and copyrights, belong to their respective owners and may be protected by copyright. Under no circumstance may these be reproduced in any form without the prior written agreement of its owner. An order for market research report is intended for internal use of the company alone and not for disclosure to third parties or any publication in general. No service, report or part thereof provided by P&S Intelligence can be reproduced, republished, resold, revealed, distributed, circulated, or sublicensed in any medium or form now realized or hereafter become realized, including and not limited to, all forms of optical-based media, magnetic, electronic, or digital without a written permission from P&S Intelligence.